Tai Fai is known by its patrons as the best spot around to get fresh sushi. While their product is great, their logo and digital presence was outdated and uninviting to potential new customers. 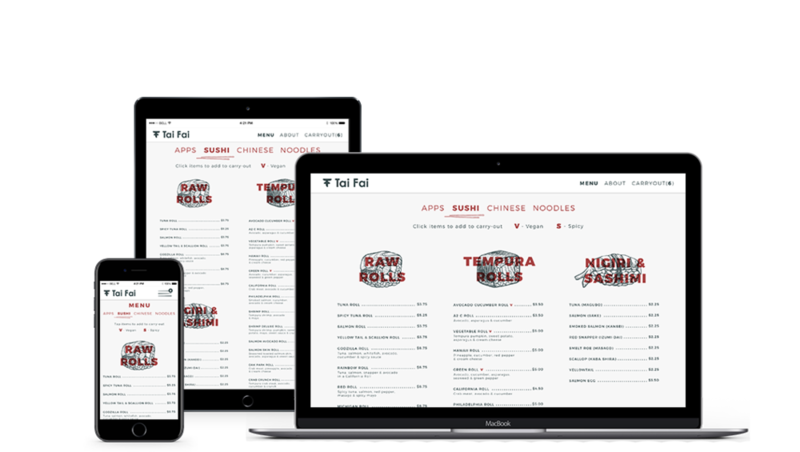 The goal with this rebranding was to bring Tai Fai's aesthetics up to date in both the physical and digital worlds.